For every wanderer out there who haven’t figured out where he/she is heading next, NewU’s Free Spirit Unisex Body Mist is a go-to fragrance. Neither too loud nor something that fades away easily; the scent will always keep you in high spirits. A few splashes a day will keep stress away. 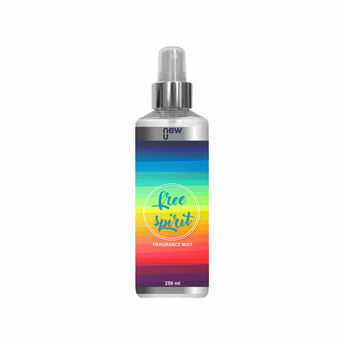 The body mist can be worn anytime of the day and promises to keep you feeling fresh and in high spirits all the time. Additional Information: Stay You, Stay Beautiful with NewU products! Newu is a Dabur Enterprise, bringing to you a wide range of color cosmetics, personal care and grooming products all at affordable prices. Explore the entire range of Deodorants/Roll-Ons available on Nykaa. Shop more NewU products here.You can browse through the complete world of NewU Deodorants/Roll-Ons .